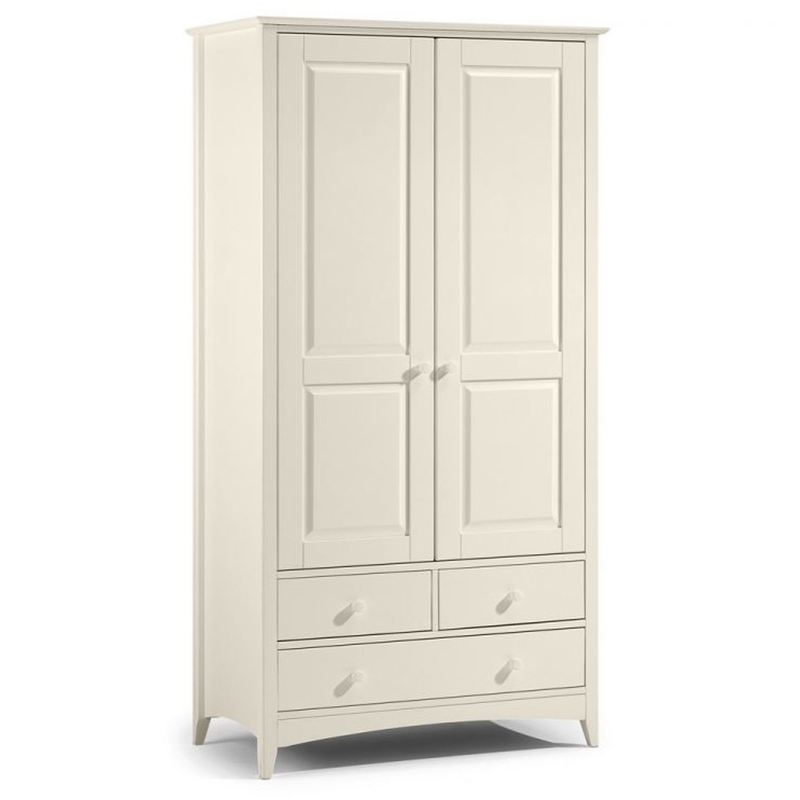 A stone white lacquered, shaker style wardrobe with 2 doors and 3 drawers. Add something special to your bedroom with this hand crafted piece, alongside matching furniture available from the Cameo range. Cameo Combination Wardrobe includes an internal shelf above 1 hanging rail.